Forestville is an amazing combination of small-town charm and fun filled excitement. They have this awesome motto that reads "Forestville, The Good Life" which is reflected in the way the people walk around smiling and waving to each other as they pass through town. It is primarily a vacation destination for tourists looking to catch a glimpse of the towering redwoods or frolic in the massive Russian River. The community is known for attracting writers and artists and is very supportive of the different types of art that appear throughout the area. Homes for sale in Forestville range from small riverfront cabins to elite properties with acreage. 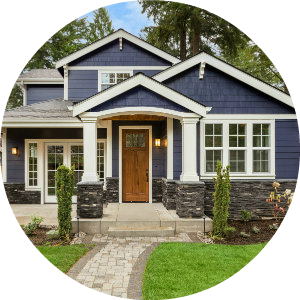 Property for sale in Forestville is always in high demand for investors looking to buy a vacation home due to its beautiful location, its close proximity to the Russian River, and the local friendly community, which is known to be very welcoming and extremely eclectic. Homes for sale in Forestville range from high-end Forestville Realty to charming River Front cabins for sale. The town was developed in 1870 and has suffered a major fire that swept out the old elementary school. 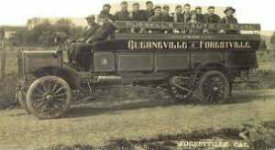 Since then Forestville has rebuilt but they place their hope and trust in the very distinguished local Fire Department. 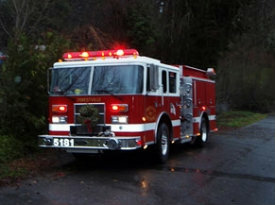 The Forestville Fire Protection District is an independent special fire district established by the Sonoma County Board of Supervisors and governed by an elected five-person Board of Directors. It is fully functional with a quick response time and dedicated firefighters who would risk their lives to protect the Forestville community. Living in the forest fire is always a potential hazard however instead of being afraid we recommend that everyone follow proper fire safety and report any signs of fire to the local fire department immediately so we can keep this community safe and secure for generations to come! Burke's Canoe has been around for generations. 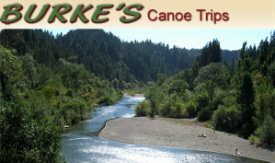 It is a canoe rental place in Forestville where you can rent a canoe and go exploring the Russian River checking out wildlife such as the otters known to frequent the Russian River, the Great Blue Heron, ospreys, turtles, egrets and more! Burke's is the kind of place that you can go to relax, get a canoe and get back to nature. When your trip is over they will shuttle you back. The Forestville Chamber of Commerce is located "where the river meets the redwoods" as the Forestville Welcome sign indicates. It is an excellent place for tourists to visit to find out where the best places to eat, shop, and relax are. Forestville Chamber of Commerce will direct you to local businesses with a smile and well wishes. 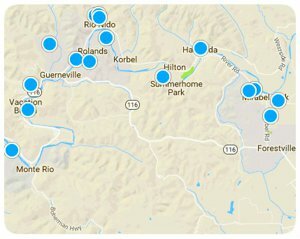 It is also perfect for local community members who are looking to get more involved and participate in things like local events and Russian River clean-up. They are also a great place to learn about this small family oriented town. In this quaint little village along the Russian River is a local Elementary school. This school much like most of Forestville Real Estate is very unique in that the public elementary section hosts Kindergarten and First grade while the Academy which is a charter school hosts Second Grade through Eighth Grade. 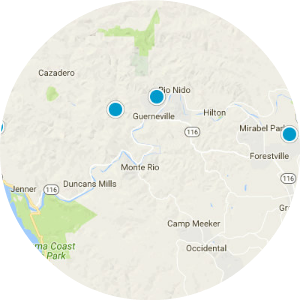 Due to the lack of a middle school in this small town, all children remain together until they reach their high school years at which time they will transfer either to El Molino in Forestville or Analy high school in Sebastopol. 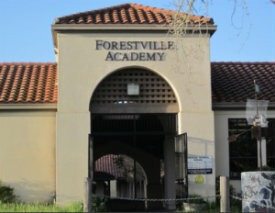 Forestville Academy is well known in the area for its excellent teachers and staff and the amazing collaboration they have with the parents of the students attending. They maintain high standards and are quick to assist any and all children if they fall behind. Once upon a time El Molino High School was located in the Guerneville Veterans Hall. 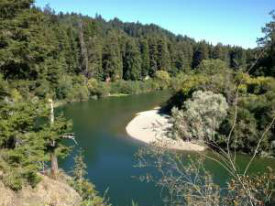 Many locals have older generations that remember when the school was located just a few feet from the Russian River. Today El Molino is located at 7050 Covey Road in Forestville, CA. 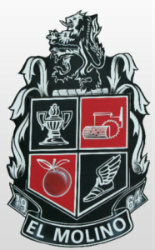 El Molino is known for its outstanding sports program as well as its high educational standards. The school prides itself on being a school of scholars and champions, having responsible and ethical citizens, and producing respectful, compassionate, resourceful, and articulate students. Their school mascot is the lion as they are loyal and brave and fierce. El Molino is where students go when they have graduated from the Forestville Academy and are ready for high school. 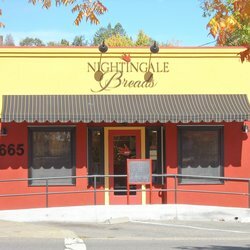 Nightingale Breads is located in Forestville and although it is a bakery and not a restaurant, I felt the need to include it on this list because Beth's sourdough is to die for! If you have not had the pleasure of trying the baked goods at this amazing bakery then I would recommend you add it to your list of things you have to do when you visit the Russian River. Canneti Roadhouse Italiana is said to be the Tuscany of the Russian River! It has delicious Italian food that makes you feel at home in Italy without having to leave the Russian River. The staff is friendly and the chef has been known to make a special trip out of the kitchen to greet the guests himself. Both the locals and vacationers here on the Russian River recommend this restaurant as one of the best places to eat in Forestville. Twist Eatery is located in Forestville as well and is known to be the perfect place to have lunch. The food and service are both excellent. The owners Jeff Young and Toni Echols take great care in providing personal attention to detail when preparing and serving lovely fresh cooked meals. 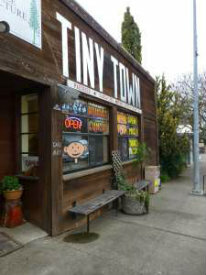 There is one more restaurant that I would recommend in Forestville and that is Tiny Town Cafe. They are a quaint little cafe downtown that serves amazing food and outstanding coffee. 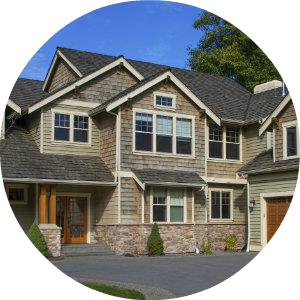 The owners are friendly and the service is efficient. If you are visiting Forestville or if you are local and have never been there check out Tiny Town Cafe and enjoy the Russian River finest. Forestville has an endangered lily called the Pitkin Marsh Lily which is closely related to the Tiger Lily flourishes in this area. 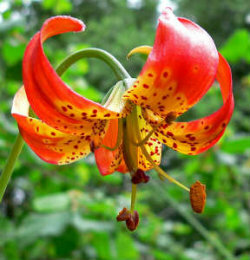 There are only three colonies of these breathtaking lilies left and one of them is located in Forestville,Ca along Highway 116. The Pitkin Marsh Lily is said to have a root that, when cooked, is rich in starch and can be eaten like a potato. There are also an abundance of redwood trees in Forestville, which are commonly called sequoias due to its subfamily status of Sequoiodeae. The redwood species has the largest and tallest trees in the whole world causing visitors and locals alike to stop and stare in awe at them. Sequoias can live for thousands of years, however, in more recent years the subfamily Sequoiodeae has been deemed an endangered species on and off due to forest fires, the logging industry, and general air pollution. The streets of Forestville first paved in 1918 are now lined with shops and restaurants but the historical nature of this small town has managed to survive. In 1898 the children were moved from the old Harbine school into the new Forestville grammar school. The old school was torn down. The Petaluma-Santa Rosa Railway traveled through Forestville beginning in 1915 and continued until 1932. After the turn of the century, it became possible for vacationers to take the train from San Francisco into Forestville. Over time more stores popped up in order to accommodate the growing population and the high number of seasonal vacationers. In 1962 the townspeople bought a piece of land and formed the Forestville Youth Park which is still in existence today lending a stronger bond to the community by providing children a safe place to play.